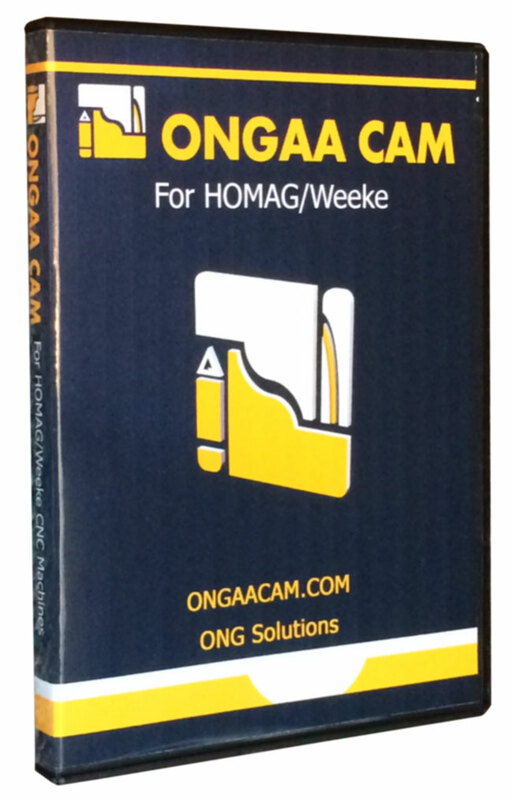 ONGAA CAM Nesting now integrates to the WoodPrint Label Printing allowing part information to be printed (and place) directly on the parts. Basic part dimensions and part names plus 4 SolidWorks Custom properties and well as 4 additional custom properties intended for edge banding information are available. With WoodPrint feature activated, ONGAA CAM produces the complete set on nested MPRs, Part MPRs and Part Images as required by WoodPrint and referred to by the CSV and PNX using the prescribed naming conventions. 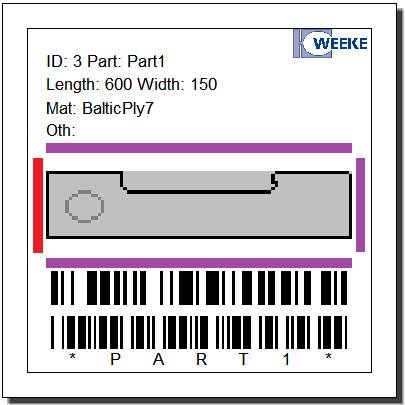 The Weeke Vantech Concept series machine nesting CNC machines with the material handling option and label printing take full advantage of the WoodPrint integration by ONGAA CAM. 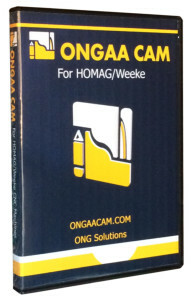 ONGAA CAM provides the following details for woodprint automatically at time of nesting. ONGAA CAM is licensed by the seat and is tiered with options to meet the various requirements from manufacturers. Listed below is the price for each level of ONGAA CAM followed by the prices for options. 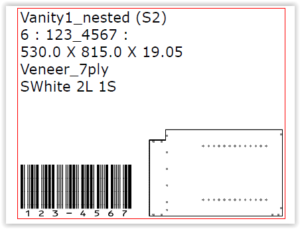 Nest directly from Solidworks Assemblies onto multiple sheets. **Edgebanding is currently only available for Homag/Weeke.